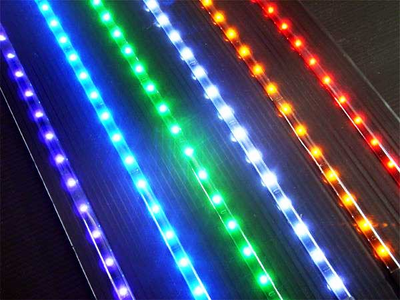 These top view LED strip lights are waterproof and flexible. The back side is completely covered in 3M two side tape. They can be used as daytime running light, interior accent lighting, under the rail truck bed lighting or anywhere else you might like to accent. The strips come in white, red, blue or multi-color. The multi-color strips can be set to just about any color. Just change the wiring configuration to change colors.